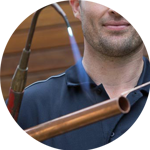 The Handy Squad have a team of highly skilled and reliable Plumbers in Fulham. Since 2005, we have successfully undertaken a wide variety of plumbing tasks, ranging from straight forward fittings to unpleasant toilet removals. Every task we are given is handled with optimum precision and care every time. 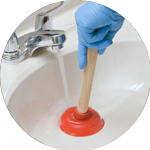 Your Plumber in Fulham will be able to use their years of knowledge and expertise to complete any tasks in an effective and timely manner. 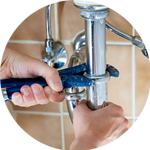 Your Plumber in Fulham will be able to assist with anything related to; Replacements, Unblocking, Installations and Repairs. 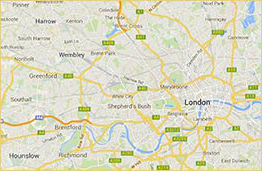 Fulham is located within the London Borough of Hammersmith and Fulham in the West of London. The area plays host to Premier League football side Chelsea FC as well as Championship side Fulham FC. 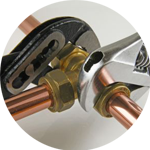 The Handy Squad have much more on offer bedsides Plumbing. We also have a Handyman in Fulham to assist with any generalised DIY tasks for both commercial and domestic buildings. Their multi-skillset means they can handle a wide variety of trade tasks to an exceptional standard. Your Handyman in Fulham will be able to assist with anything related to; Flat Pack Assembly, Hanging things up, Tiling and Odd Jobs. If you have any electrical jobs that need to be completed and have reservations about your safety, we have a team of fully trained Electricians in Fulham, who will be able to take care of any electrical task with ease. Whether its Fault Finding Repairs or Electrical Installation Condition Reports, there is simply no task your Electrician in Fulham won’t be able to handle. To book your handyman, electrician, decorator, carpenter or plumber in Fulham, fill out the online booking form.